Let me tell you the story of a British Indian grandmother. She was born in India, lived in Kenya then moved to the UK in the late 1960s. She was an unassuming lady. At a recent election, at around 2145, just before the polling booths were about to close, she asked her adult grandson if he had voted. The grandson was curious why his grandmother, who didn’t ever show much interest in politics, was asking if her grandson had voted. So he thought he would play a trick and said he had not when in fact he had. She grew furious. She told him to vote immediately. Wow. He had never seen this side to her. ‘Why should I vote?’ He asked. Now she was furious. ‘Because when they change the laws, don’t complain. Wow. He had never seen his grandmother like this. And then he went to the polling booth, even though he had been once, it was better that, then till his already angry grandmother he had already voted. My grandmother was correct, unlike me, she had never studied Politics at Oxford University, yet she made the case for voting better than any Oxford Politics graduate. 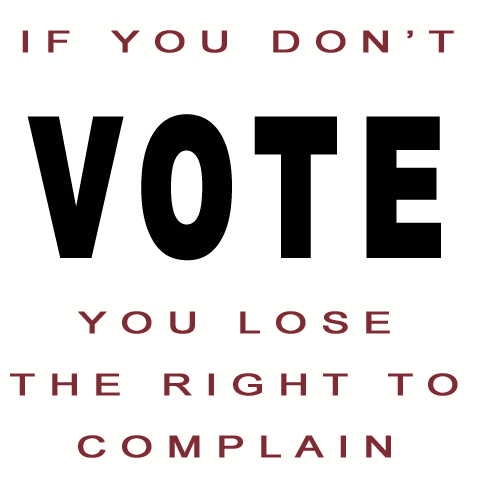 As a British Indian it is especially important you vote. It is always minorities that need the laws to be on their side. It is British Indians who fought and died for this right. For all those who think their vote will make little difference – let me tell you it was British Indians that swayed the last General Elections and more than ever politicians court them. If you don’t show up, you don’t matter. And if you think your candidate has it already in the bank, or no chance to win, either way the size of the majority matters. Parties measure and strategise and divide up demographics and ethnicities and formulate policies based on those that turn up. So I appeal to your public duty, your personal interest – and if not for yourselves, then for your community. Your vote affects the services your loved ones will receive. And the cost to you? 10 minutes of your time after a day of work, or looking after the kids, and the benefit? Not just all of the above, but a most incredible wonderous experience that generations of men died for, then women suffered and died for and finally, your own peoples, Indians died for in a far away land. Now you get to elect British politicians. Make it count. Me…I’m voting for Zac. I don’t trust Khan for oh so many reasons.